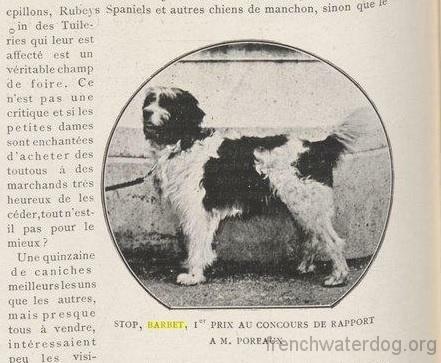 In 1904 Barbet named STOP had won a retrieving competition in Tuileries (Paris). It is one of the oldest known photos of Barbet. STOP belonged to M. Poreaux. 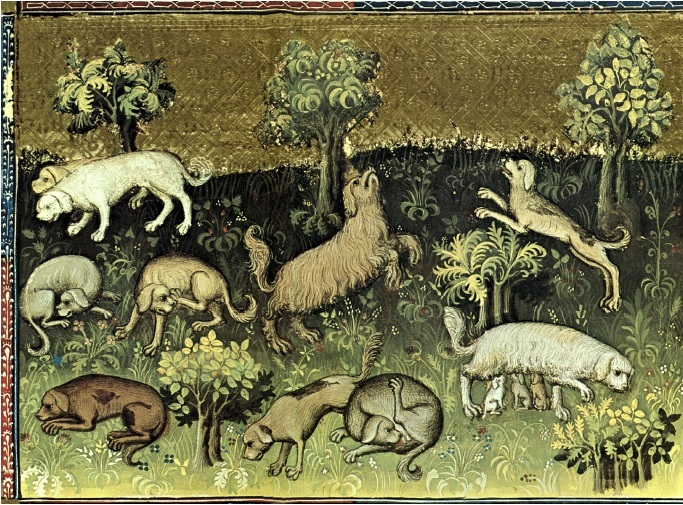 This photo is a good reference to discussion about what the breed looked like in the past, especially interesting in terms of its coat which is very well seen on the photo (poil frisé in french means the type of coat that forms boucles “Dont les poils forment des boucles”). 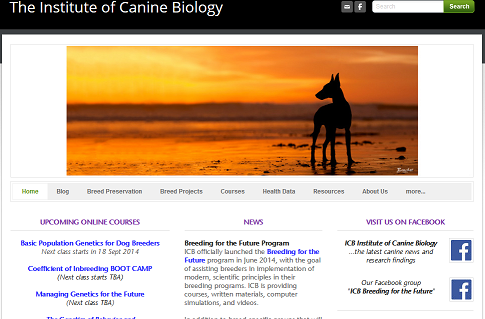 STOP is 22-nd dog added to the list of historical representatives of the breed.